Features Ceramic Shock Ring Guides. 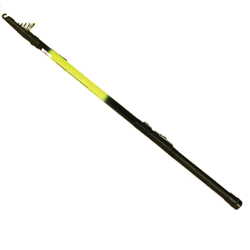 Fluorescent Yellow Tip and Textured Handle. Available in 10', 12', 14', and 16'.